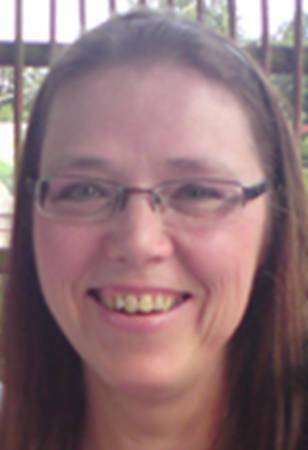 Julie Elizabeth Powell has a passion for words, and is the author of 25 books in a variety of genres and lengths. She lives in the south of England and thinks grammar and spelling are of immense value. Her favourite worlds are those of her own making but she often delves into others for fun, as reading is the next best thing to writing. When I was a child, I loved to read tales about magical chairs that took you to faraway lands and becoming invisible and, with a wave of a wand, anything was possible. Words affected me and, of course, I had to write them, too. The most interesting stories I’ve ever read include fantasy of some kind, whether it be other realms / worlds or horror, science-fiction, apocalyptic, post-apocalyptic, dystopian, paranormal…they all feel like fantasy to me. The reason I love writing fantasy is that there are no limits, so if things get sticky, I can just make it up! Is this a full time job? In my head, yes! Although, I’m a full-time carer for my disabled husband, so don’t have time to go out to work anymore, writing is something I love to do. I write in a variety of genres; classic fantasy, paranormal, horror, dystopian, science-fiction, humour, psychological, crime thriller, mystery adventure and non-fiction. Sometimes I mix up genres, too. I don’t stick to formulas or fashion. I also write for adults and children (12+). I like to challenge my writing and I’d become bored if I stuck to the same old thing. So, classifying my writing is not possible. But it is thought-provoking, different, imaginative and sometimes odd. J I love to stretch the imagination and delve into the ‘what’s possible /impossible’! Maybe because folks don’t like reality? At least with fantasy, the imagination has no boundaries. As for horror, I think people like to be petrified in a safe way. Inspiration can come from anywhere at any time. Dreams, however, are a huge source, where characters speak to me, or an idea is sparked enough that I have to write it. Short stories are great for those fleeting ideas, although novels take far longer, it’s great to develop the characters from that initial inspiration. Of course, I people-watch – it’s amazing what folks will do and say and how it can stimulate stories. I will say though that my first competed novel (one that I didn’t throw into the bin of history), was inspired by what happened to my daughter, Samantha. She was born with transposition of the main arteries amongst other heart problems and when she was two, it stopped and she died. Doctors resuscitated too long and too late, resulting in severe brain damage. For seventeen years, Samantha survived, but her essence, what had made her who she was, had been wiped clean. She had no memory of me or anything else. As her body gradually twisted, her empty shell knew nothing except pain. During that waiting time, I had a question: ‘Where had my daughter gone?’, because her essence had vanished. So, I created a world and went in search of her. Gone is the result – a unique fantasy, one of loss, grief, questions and answers, and an inspirational tale of hope. Gone is not depressing, but has been described as a fairytale for adults. I’m sure it will help others, too. Slings & Arrows is a non-fictional account of that time. So then, inspiration comes from deep emotional responses from anything we see, feel, smell, hear, taste and experience – never underestimate your senses and memories. Tell us about your work on the book 13. I’ve always been intrigued by how the mind works and why people do what they do. Over the years, I’ve seen wondrous and awful things, with the latter in the name of someone’s beliefs. I can’t say that I like humans very much, and despair at how each day things are becoming worse. The drive to power is daunting, and those who want it shouldn’t have it and those who don’t want it, would probably do a better job. However, I’m not sure if it’s genetic or experience led, but human beings could be argued to be the scourge of the Earth. 13, then, is a story of people, and their motivations to do terrible things – but it’s left up to the reader to decide if those very people deserve what happens. Would the reader do the same? What would drive them? Can they relate? Of course, I gave it a fantastical /horrific twist – it wouldn’t be fun otherwise! Oh, I’m not sure how to answer this. I’ve read Stephen King and Dean Koontz and also many stories by Amy Cross (British) – maybe British horror is more realistic? I do find Stephen King’s horror to be depressing, while Dean Koontz has more of a hopeful flavor, if mixed with fantasy. Being British (English) myself, I want my stories to be routed in reality, whilst bringing tingles and chills. The Box That Jane Built (the title story of a collection of four horror tales), is about insanity – something I think is the scariest of things and yet is completely ‘normal’ for those inflicted. All four tales about real life situations, yet are they…? Psychological stories are the best in my opinion, as the mind is the most disturbing entity. I find that the word ‘horror’ can mean something different to us all. Jaws, for example, was horrific to me. But those stories in the Hammer Horror league are awful. 1984, although dystopian, was more horror to me, as was Fahrenheit 451. Personally, I hate anything with clowns. Mary Shelley’s Frankenstein was sad, but the idea of man messing with nature – that is terrifying and something Dean Koontz writes about in many of his stories. Misery by Stephen King was psychologically brilliantly horrific as was Needful Things. It’s not possible to list them all, and it’s never that simple because horror means more than how much blood there is – it’s possibly the sound of the knives sharpening that’s worse. True life is far my scary than fiction, I think. Favourite maybe the wrong word – those that made an impression are: The Exorcist, Silence of the Lambs, The Others, The Fly, Jaws and The Shining. My greatest accomplishment is to keep writing, despite the flack, the criticism, the hard work and the lack of sales /reviews. 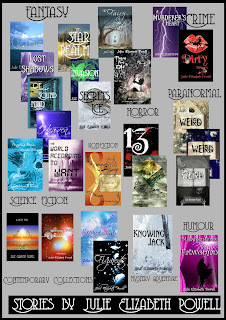 I have written 25 books in varying genres and lengths and am pleased with them all. I think my work is great, but I’m a self-publisher so am at the bottom of the pile in regard to status. Maybe one day I’ll be lucky and that ‘important person who has the right strings to pull’ will read my stories and loves them? Ignore naysayers, write for yourself and be realistic in your goals. Believe in your work, yes, but don’t think that it will magically become a bestseller. Never give up. I have no money for marketing /promoting, so maybe that’s why sales are poor? It’s important to be as professional as you can. It’s hard work, yes, but then I love the control. Apart from writing, editing, proofreading, marketing, promoting, and so on, I love to design my own covers. It’s been said that the cover makes all the difference to sales, but I’m not sure if it’s true, but I love doing it and think they’re great! Self-publishers are often criticised and are considered below independent writers (those with a small press) and traditionally published – here are three reasons: poor editing /writing, won’t be good if they can’t get a publisher and vanity. Hmm, well, I have never read a book without a mistake, even those with expensive eyes on watch. Some stories through the traditional route are awful! Really awful; bad writing style and poor storyline and boring. Vanity? Well, maybe it is. But, speaking for myself, I think my stories are important and very good to read. They are meaningful and well-written, and I edit, proofread etc. to make it as professional as I can, all by myself; that surely is an accomplishment? What choice do I have when I’ve been rejected by every relevant publisher and literary agent? Oops, maybe I shouldn’t have admitted that? Although, I was offered to be taken on by a small publisher but I didn’t want to lose control of my work and be told what to write. I have several projects in the pipeline. A new fantasy novel called, Maisie; something I’ve never done before in quite this way, so it’s taking its time. In addition, I hope to write a few more ‘missives’ from my Weird series – Henry Ian Darling is nagging at me to get on with them. I do have another novel in mind, but I’m not sure yet how it will go and I need to concentrate on my current work. And of course there will be shorts from my dreams – I never know when they’ll strike or lead me. Thank you very much for taking the time to interview me, David and MastersOfHorror.co.uk. And thank you, readers wherever you are don’t forget the review!